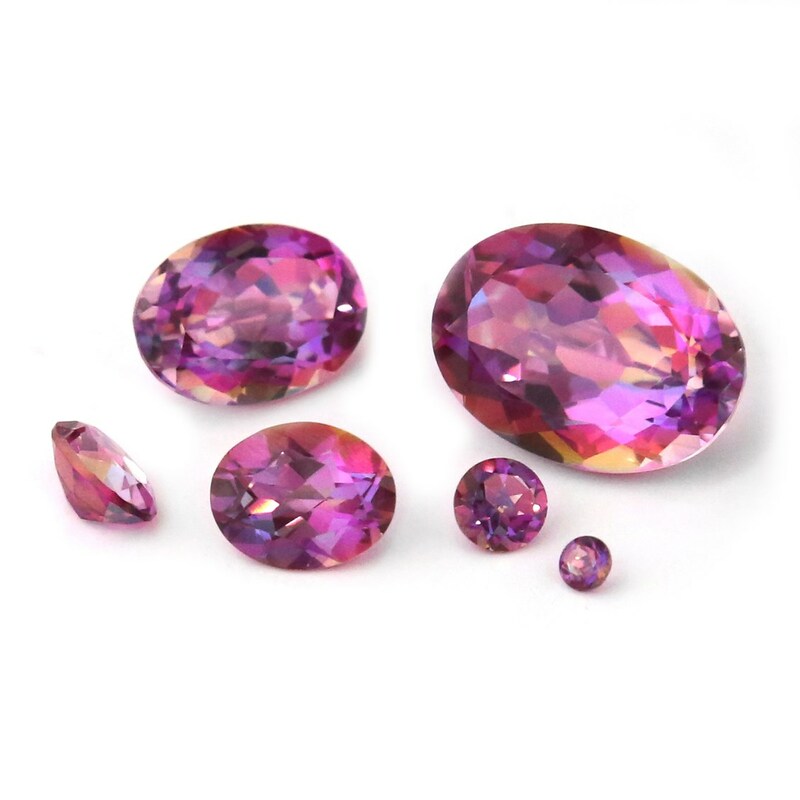 This faceted gemstone is a natural quartz which has been treated by a process called Vapour Deposition Coating to give it it's beautiful dazzle of kaleidoscope magenta pink colouring. Vapor Deposition Coating is a process that is coated on just the pavilion (pointed side) of the stone with natural element in the US at a world leading laboratory which creates a durable coating at a molecular level able to withstand everyday contacts such as water, friction and skin contact. 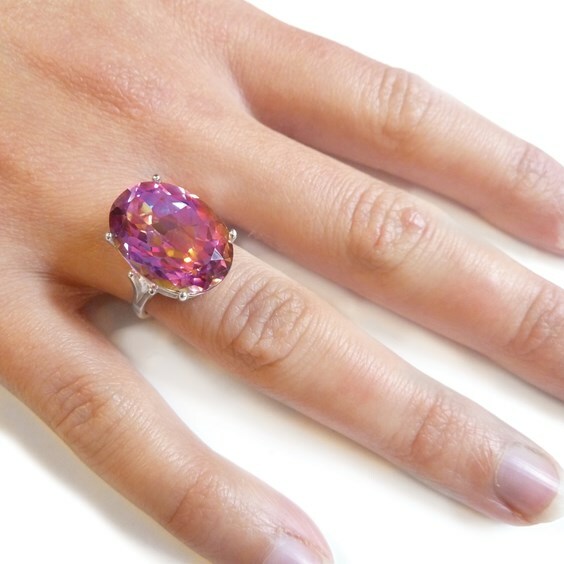 With movement, this gemstone emanates a variety of colours from primrose and violets, pistachio green and electric blue although it is predominately magenta pink. Their facets and array of colours bear resemblance to looking through a kaleidoscope. 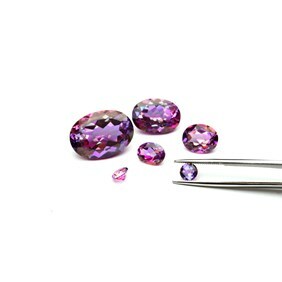 These have impeccable clarity and remarkable cut facets which emphasise their stunning kaleidoscope sparkles.